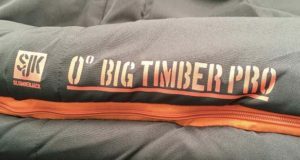 Is a double sleeping bag right for you? 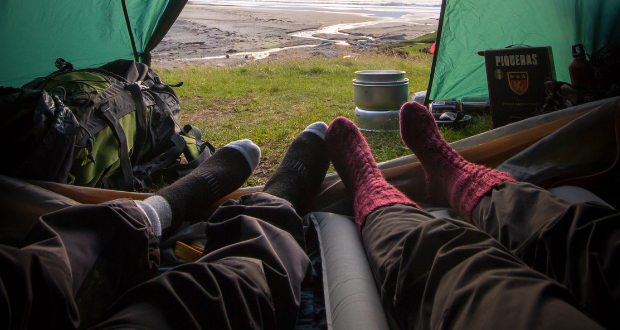 You’ve finally found the perfect adventure partner, and because you like to be oh-so-close, you’re thinking about getting a double sleeping bag. Is this the right move? Should you buy one so you can be entwined day and night? 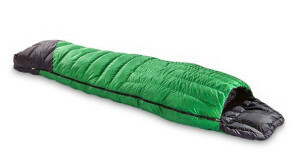 I’m going to go out on a limb and tell you to pass on the double sleeping bag. Here’s why. If you both sleep like mummies, go for it. After a day of hiking and adventuring, a good nights sleep is crucial. It sets the tone for the next day, and if you wake up tired with only a few hours of sleep, it makes it hard to hit the trail once again. I’ve only met a few people in my life that sleep motionless on their backs for the entire night, and to be honest I thought it was kind of weird. 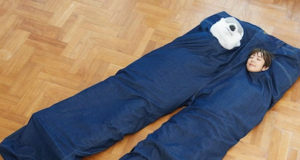 The average person can change sleeping positions up to 36 times per night, and in a double sleeping bag that gets old quick. Hiking and hanging around the campsite makes you dirty — no way around it. If showers are nearby you can take of this problem and climb into bed squeaky clean. But even if you were clean earlier in the day, you’ve probably still been hanging out around the campfire in sandals (my goto) which means that you’re still climbing into bed less than pristine. Some people are cool with that, and some aren’t. 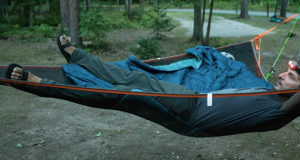 Even if you manage to get comfortable in a double sleeping bag, it’s hard to avoid the air gap in the middle. You might be able to start the night with it pushed down, but at some point, someone is going to roll over, and the wind tunnel will open up. If it’s a chilly night, you’ll get a refreshing burst of cold air that will probably wake you up. It’s something that you’ll be trying to manage the entire night. I will say that you can find some success by stuffing a sweatshirt or two between you and your partner, but in my experience, it’s only a temporary fix. 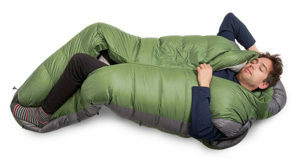 There are a lot of couples out there that love their double sleeping bag, and I’m happy for them. My wife and I are also not one of those couples. I tend to do what she calls “the crappie flop” when I sleep, which means that as a side sleeper, I flop over about a hundred times a night. 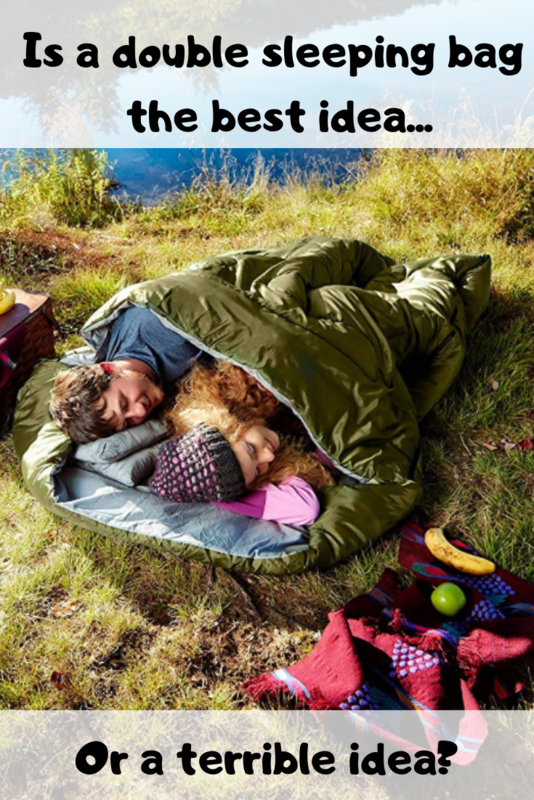 That doesn’t work in a double sleeping bag. No matter how big the tent is, we still sleep close together, but I have to have my own bag if I’m going to get a legit night’s rest. By the way, whichever bag you decide to buy, you want to make sure it lasts. 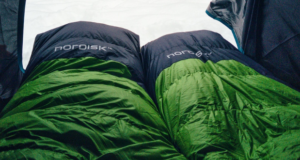 Check out our 6 sleeping bag care tips. 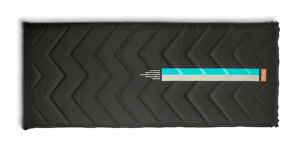 Previous: The Kammok Roo Double Giveaway!